For these unique custom retreats you can book your own dates and duration, since they will be specially tailored for your needs and interests. From a half day to a full day or several days. Ideal for one, two or three people (maximum group size: 3). 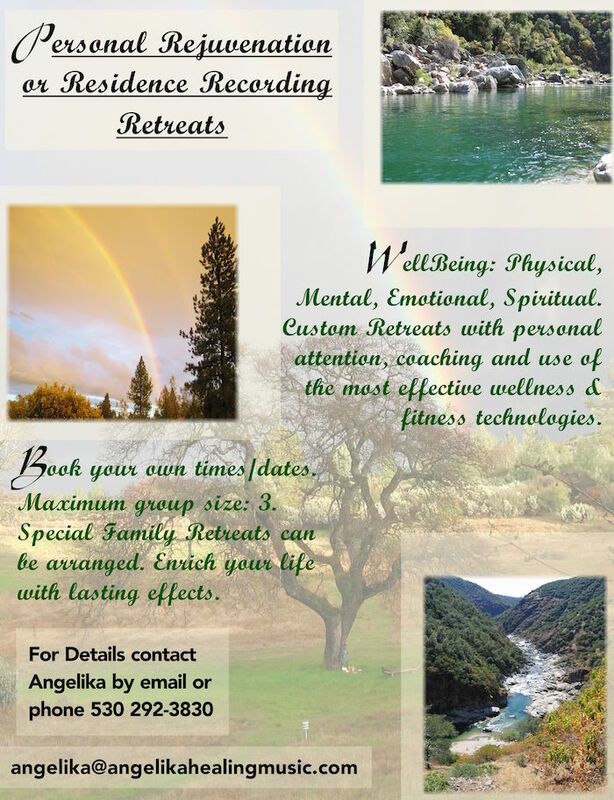 Custom retreats can be designed for inclusion of children, or teens, please inquire. Tension, Stress and Trauma release work with TRE sessions, personal coaching, and the creation of your custom soul portrait and soul movie for you to take home. CREATION of your personal Soul Portrait for you to take the inspiration home. CREATION of a personal custom made Soul Movie for you to take the inspiration home (available only for full day or longer retreats). 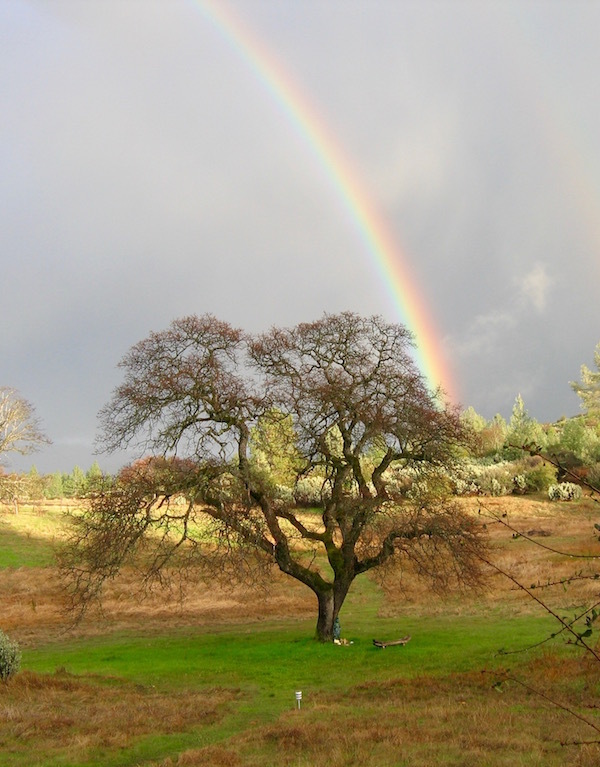 A Life System BioFeedback session (a $ 150 value) per retreat with Nick if available. 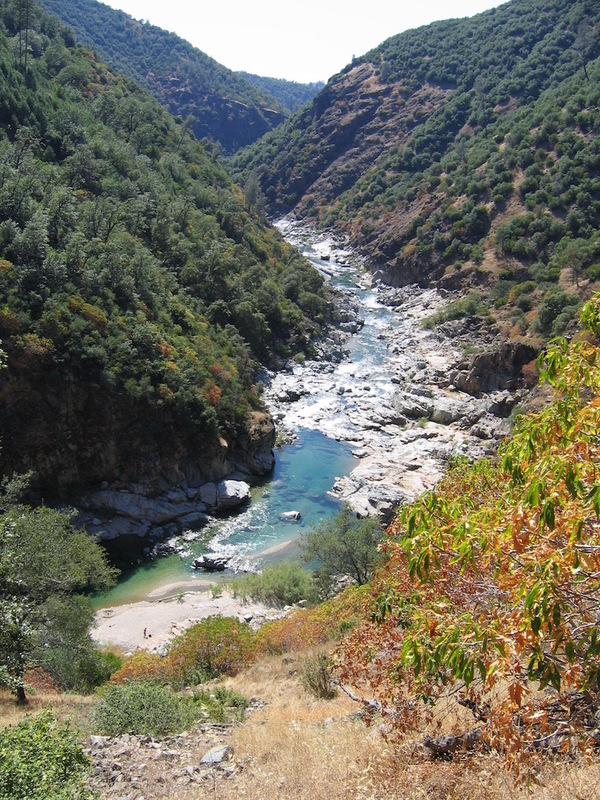 Hiking, Nordic walking (exercise coaching) in the beautiful nature without the need to drive, trips to the scenic Yuba River, swimming in the summer months. Recording sessions/ production assistance: 3 hours per day included. (if you choose the recording retreat). Surcharge for extra hours. Some of these offerings will be naturally woven into the day, instead of formally structured. You decide how much you would like to learn or be guided and make use of the available tools or how much you would like to have your own quiet personal time. If you choose a recording retreat, prices include up to 3 hours per day of Recording studio time, consultations and production assistance for your music, your video project (we can film here in the amazing nature by the river) or spoken word recording. Additional studio time is $ 25 per hour. Times of day or night are flexible, according to your inspiration and best energy time. Optional day trip to Sierra Hotsprings (a 2 hour beautiful drive from us) will take the place of the other activities for that day and the entry fee for the Hotsprings ($ 20 to $ 30, depending on day) is not included. 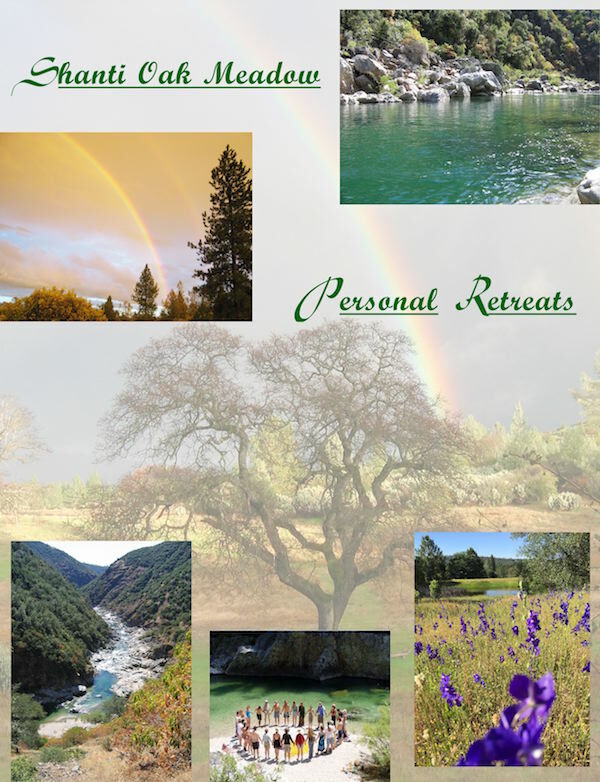 RETREAT BASE PRICE: per retreat day per person (subject to change): Half day retreats: $ 85 per person. Full day, 8 hours $ 170 per person. Couples or groups of three: $ 150 per day per person, $ 120 for 3rd person. Child up to age 14 $ 108 per day. Babies free! Prices (see above) include up to 3 hours per day of Recording studio time, consultations and production assistance for your music or spoken word recording or movie project. Additional studio/recording/consultation time is $ 25 per hour in addition to the base price. No extra charge for filming! Times of day or night are flexible, according to your inspiration and best energy times. PERSONAL COUNSELING – SKYPE, ZOOM OR IN PERSON SESSIONS: If you do no wish to travel and come in person, Angelika is now offering personal Skype or Zoom sessions. They will be custom fit for you and are highly intuitive and guided by spirit, including powerful intention for your greatest good.